The bee holding box is on the far right. The vacuum doesn't harm them! 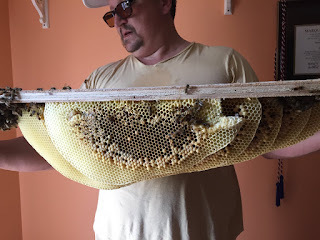 Last month I noticed what looked like bees floating in and out of a hole in my house. 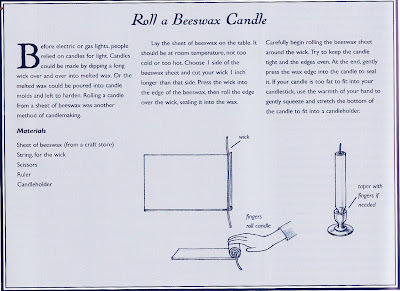 I called a friend who happens to be a bee expert. Sure enough, these were bees, and I hired him to take a look and see what was abuzz. These snaps and videos show what he found in the floor of my daughter's old bedroom--a hive about six weeks old. 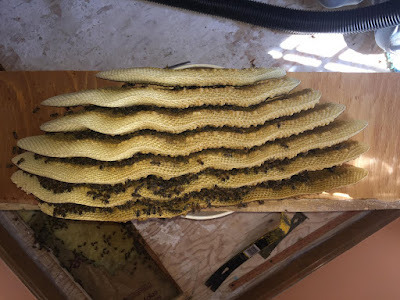 It took all day for two men to tear up the rug, listen for bees with a stethoscope, smoke the bees to make them sleepy, trim away the floor, and then remove the hive. 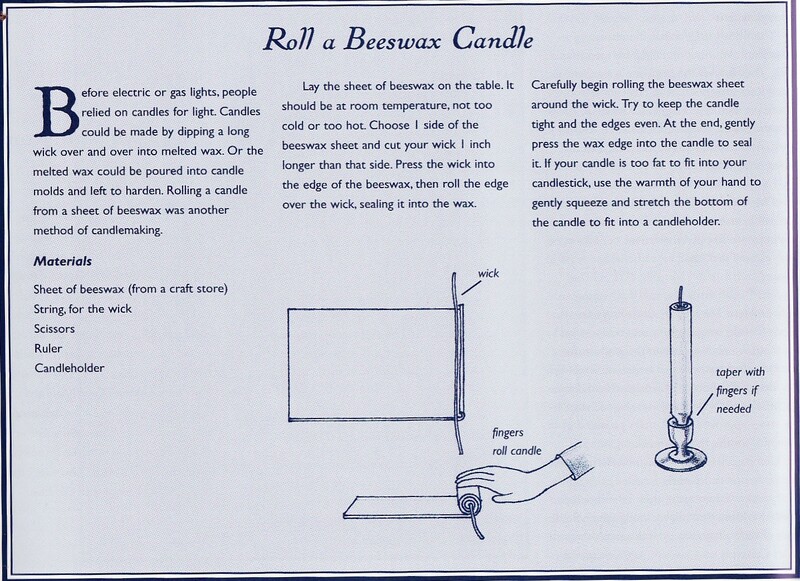 The bee vacuum you see gently swept the bees into a holding box to keep them safe. Wow...I was blown away! The background noise is the bee vacuum. Even during lunch break, the vacuum ran in order to keep them air-cooled in their holding box. Once the hive was collected and all the bees removed, the beekeeper drove to another neighborhood where the hive found its new home. Isn't that cool? The damp stuff is nectar in the hive! 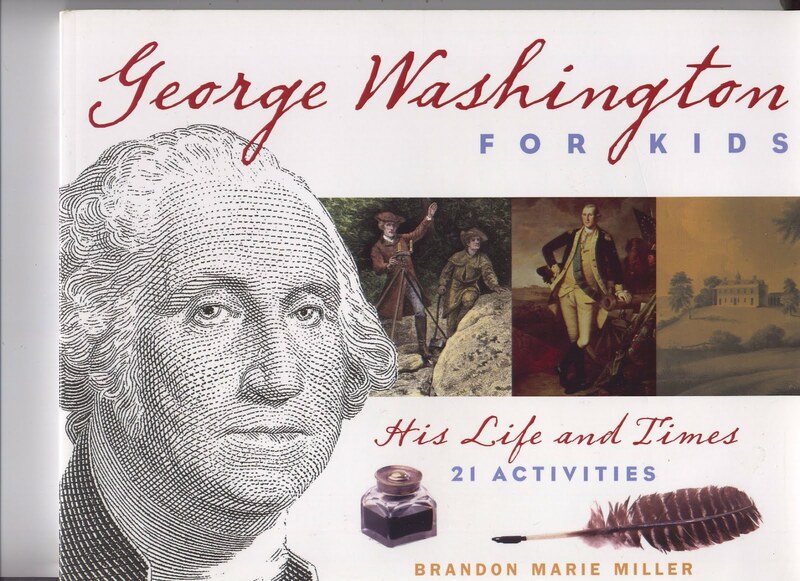 What's more, check out this colonial pastime developed by my co-blogger Brandon Marie Miller for George Washington for Kids! Wow! You cannot BEE serious!! !